SMS Marketing vs. Email Marketing. Which is the Most Effective? 2018 has already arrived. This is the high time to assess all the reasons why SMS marketing for any kind of business has enhanced so much and taken over email marketing by 2018. Let's go deeper why prefer SMS Marketing vs. Email Marketing. No matter what size and scale your business budget is, you still can afford to have an SMS campaign. Thanks to no need for that much creativity, design or simply being mobile-friendly as email campaigns require, it will help you to increase sales and improve communication with customers at quite a little cost per message, if, for instance, teamed with an incentive like an exclusive discount or offer. Most of us don’t leave the house without our mobile phone. It is always there by our side like a cherished lover. Thus, it is no wonder why the number of people reached through an SMS campaign is much higher than that for email marketing. 60% of people in the world own a mobile phone compared with 40% who have access to the internet. Whether your users have an Android smartphone, an iPhone or a grandpa's cellphone, they are eligible to receive your updates through SMS as long as their device is on. According to the Pew Research Center, 18% of U.S adults own a cellphone, but not a smartphone. Your business is in the US? How can you miss those more than 40 million people? It has been statistically proved that people are much more likely to open and read a text message than an email. 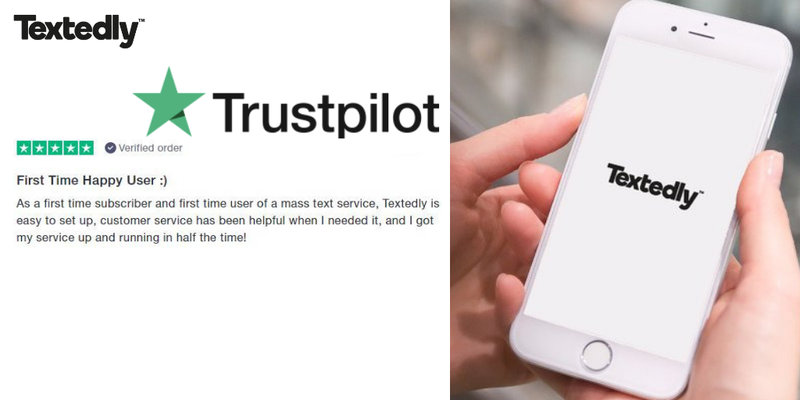 According to ShiftComm’s survey 82% of respondents open every text message they receive. Unlike email marketing, you do not have to compete with hundreds of spam messages in users’ inboxes. Especially considering the fact that 64% of surveyed customers preferred businesses to use SMS more frequently when interacting with customers, it is definitely worth to have text messaging in your marketing efforts. The receiver is almost instantly alerted and the campaign goes straight to your recipient’s device. Armed with quality over quantity in terms of the size and frequency, your short and engaging message is to be sent out immediately to as many people as you have on your database. Thus, you are not only saving time but also quick to get the results just because of the opening rates an SMS campaign can bring on. Receiving and reading an SMS doesn't seem to be a rocket science. 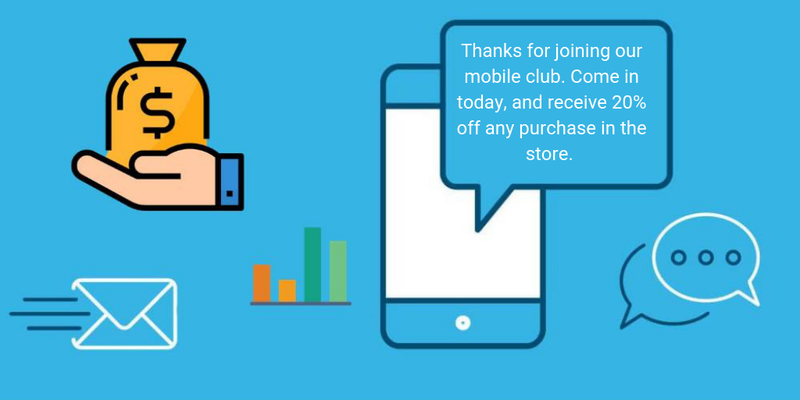 Without any kind of sign-ups, by setting up a keyword with an SMS short code, the customers can easily and voluntarily opt in to your database. If you offer something of value, your customers, the already generated leads, will also spread the word to their family and friends through word of mouth. The ultimate result for any business is to boost sales and stay on the track. The two are rather interdependent. Thus, track your messages in an intelligent manner by partnering with top SMS marketing services. You will send the messages successfully and be aware of any "who, what and when" to ensure you get the most from your campaigns. Most people don't like any kind of intervention to their lives be it another person or a junk mail. One of the best capabilities of text messaging is greater personalization. SMS marketing only targets customers who opt-in to SMS updates from companies they want to interact with, so you know you’re delivering the message to the right person without it getting lost or ignored. You can almost instantly update them with a tailor made message based on buying history, interest in different products and even geographical location. With today's on-the-go consumers, you can smartly integrate SMS with your web platform to alert customers of a location-specific sale or offer, catching them on the move. Thus, it seems to be not so difficult to make your customers feel really special and part of an exclusive community. Make it worth their while and they will keep coming back for more. A text message is almost a carbon free way of communicating, so if you want your business to be more socially responsible and greener while campaigning, you'd better decide on SMS marketing. It will affect our carbon footprint the least if compared to email, direct mail and face to face meetings.